Thinking of buying a bat in September or October? 10/10 Only: DeMarini is doing an 50% sale. 10/10 Only: Louisville Slugger Doing a 50% Sale. It is officially the the BEST time to buy baseball and softball bats. Vendors and Manufacturers flush inventory to get ready for next year. Inventory that doesn’t move is the death of retail—and they don’t let it sit. A serious lack of demand or bats in Sept/Oct push prices down. Bats which once sold well enough for several hundred dollars are often half of that price. Below are 8. We looked through every dealer we could find, compared it to our bat reviews and original pricing. We found 8 deals from several different vendors that are hard to believe. Hard to tell how long these will last. These bats were originally exclusive to ***’s Sporting Goods. And, although you can find them in a few different places now, the DSG online price is pretty ridiculous–especially on the S750. It is the best selling bat at ***’s right now for a reason. These bats are HALF price. 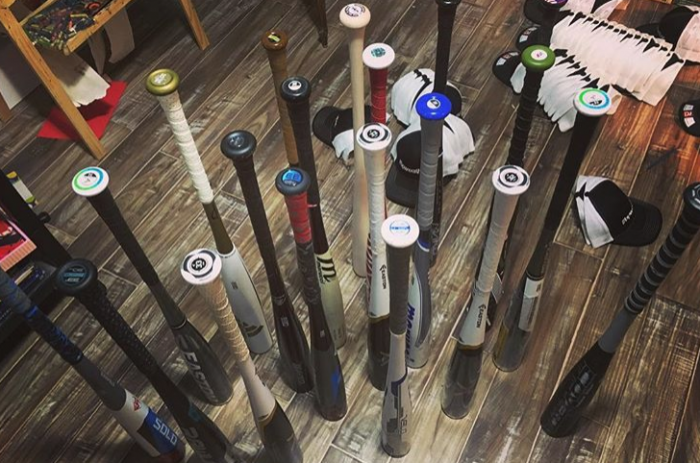 Who knows how much inventory DSB actually has—but people were very happy to pay full price for these bats (especially the S750). Now that it’s half price why not buy a couple? You can bet this price is to clear out inventory for whatever is coming next. See our full S750 and S750C Review for more details. If you want a game bat in the USA space or even an extra BP bat then here’s your chance. We are not privy to any of the real information, so this is just a guess. But we’d bet that JustBats cleared out Easton of most of their 2018 Easton Ghost X BBCOR bats. They are absolutely unloading them right now. It’s their most popular seller for the last few days now. People bought this bat in DROVES just a few months ago at $450. At the time of this writing you could pick this up for $200 less than that. Which, turns out, is crazy. If it was our money, we would buy one of these for every single BBCOR player we had. When the best BBCOR bat we tested goes on a discount its just a great, great day. Closeoutbats has a real deal on a 2018 Rawlings BBCOR Quatro (that was once over $450 that A LOT of people paid full price for a reason). Expect this smoking hot bat to be limited in quanity and very difficult to find come 2019. The discount is not as huge on this as some other BBCOR bats this year, but its the best deal you’ll ever find on this bat. (And it’s not one you want to buy second hand as it has some durability issues—get the WARRANTY). If you’re looking for a deal on the 918 Prime then hold tight. Rumor has it on the 24th of this month you can find this bat on Closeoutbats for yet to be disclosed price (but it will the cheapest the bat has ever been). Think Easton Ghost BBCOR type pricing. Currently, the bat is already as cheap as you can find it. But, if you can wait until the 24th then get ready to absolutely pounce. This bat is a year old, but it really is fantastic. YOU DON’T have to be a slapper to like the slapper. Buy it, hide in the closet and make it a fantastic Christmas present. This is a great bat for less than 1/2 the cost. Depending on the sizing you’ll need to look in a couple places to get the deal. These appear to be the last two places on the planet with inventory for the CF9 Slapper. Once they are gone expect to never really see them again. No where could we find the Easton Stealth Flex for 2018 for a better price. Considering it is running at less than half the original price you can expect a huge value buy here. The bat rates out well and is a legit entry to mid level two piece composite bat in the fastpitch space. For its original price it was worth it for many. But, at half price? It might even be worth it if you don’t play fastpitch. Every one of the links above has this bat for a considerable discount. It is one of the better Junior Big Barell bats on the market. If you’re looking for your younger player to get into the Marucci CAT world then here are some places to price check. At the time of this writing every one was selling it for the same price—but a few moved them up very recently. We don’t expect this inventory flush to last long. See our Marucci CAT 7 Review. Some bats are 2 ounces heavier than their stated weight, so instead of a 30/27 bbcor you have a 30/29. It makes a difference for a small kid. If a player is 120 lbs. or more, it may not make much of a difference, but if you’re under 100lbs., any extra added weight compounds even on the most balanced bat. For a smaller player, it’s best to find the lightest swing weight combined with a bat that is close to sticker weight, if you’re looking for bat control. We have been weighing and measuring bats since 2014. Every one of them. See this article too: swing weight vs actual weight. Total weight is NOT indicative of swing weight. Total weight of a bat is a farce and a dumb marketing ploy that confuses consumers. The industry would do better to get rid of it. Swing Weight is all you should care about. And swing weight is not correlated well with total weight. As we point out in the chart on this page. The total weight of a bat is not well correlated to the swing weight of the bat. Can you tell me how the swing weight of the Easton Ghost X compares to the Mako Beast? Do they tend to be overweight ( about 2 oz.) like the Beast? Check out our swing weight article. Remember, total weight doesn’t mean much. It’s about the swing weight—not the total weight of the bat.